To use the brushes is really easy. There is no complex system here, simply select one from the brush tab and draw with the brush tool. You can then adjust the width, re-pose and re-color to get that perfect look. 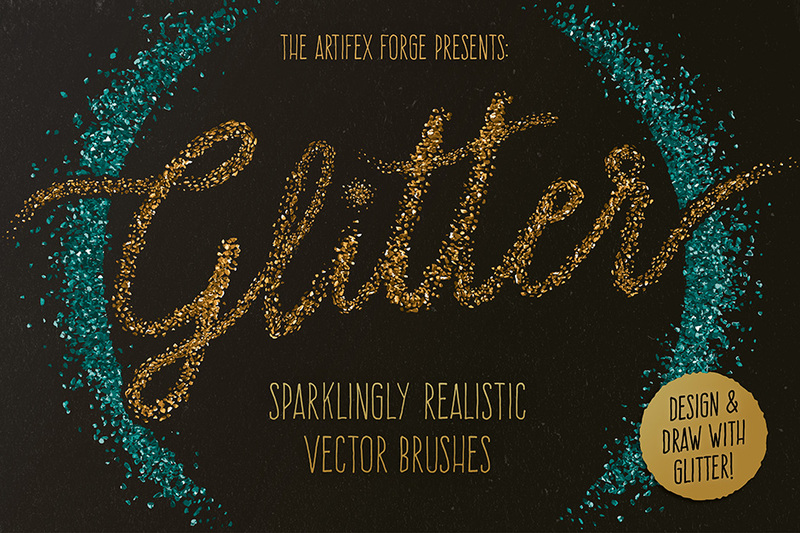 • The Brushes: 30 Sparkling Glitter Brushes. • A quick reference guide: This will help you find the right brushes for the task in hand quickly. • Instructions: A very thorough guide on how to load, apply and then adjust the brushes is supplied. • Update! 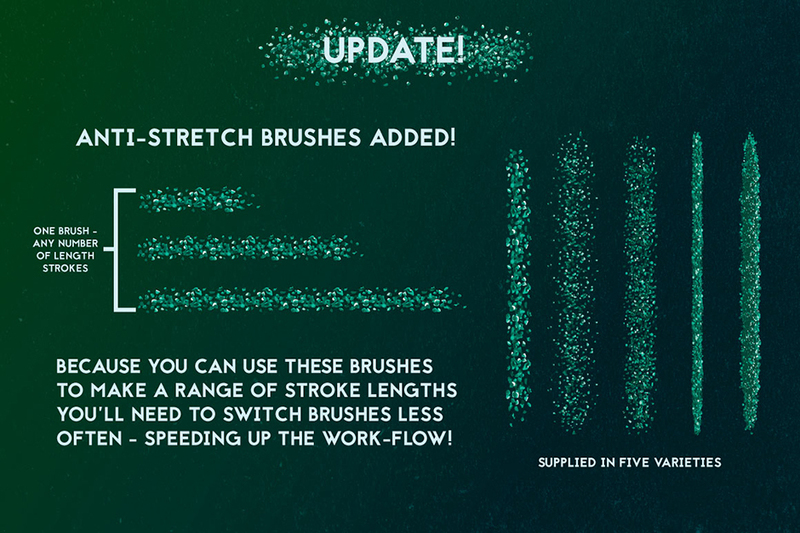 A set of anti-stretch brushes as well as updated instructions. File size is approx 204.7MB (235.5MB unzipped), offered as a single download. Thanks for your lovely comment and I’m so sorry for any confusion caused by the compatibility of our Glitter Brushes. Rest assured we always list the file types and software compatibility of all of your resources so Im so sorry if you missed this one our deal page! Unfortunately the designer has advised that this one is only compatibile with​ Adobe Illustrator CS1 and newer, so my sincerest apologies for any disappointment caused. Love these brushes and am wondering if they would be compatible with Photoshop CS6 please. We’re so glad you do however, the designer has advised that they are compatible with Adobe Illustrator CS1 and newer I am afraid, i’m so sorry for any disappointment caused! Thanks for coming back to SJ and oh dear I’m so sorry to hear that you have already picked these up! Rest assured we are always happy to offer a full refund if you are not 100% happy with your purchases and we would not want you to have resources that you are unable to work with in your collection. I have just sent you an email to help you further with this! This is a great deal, the brushes look just like 3d glitter spinkled on glue, colours tint really nicely and works well with pressure sensitivity. Bit of high pressure squigling got me a bunch of foil looking roses too. Didnt seem to work illustrator too hard until i tried making a patternn fill out of loads of glitter swirls. Verjy happy with this.